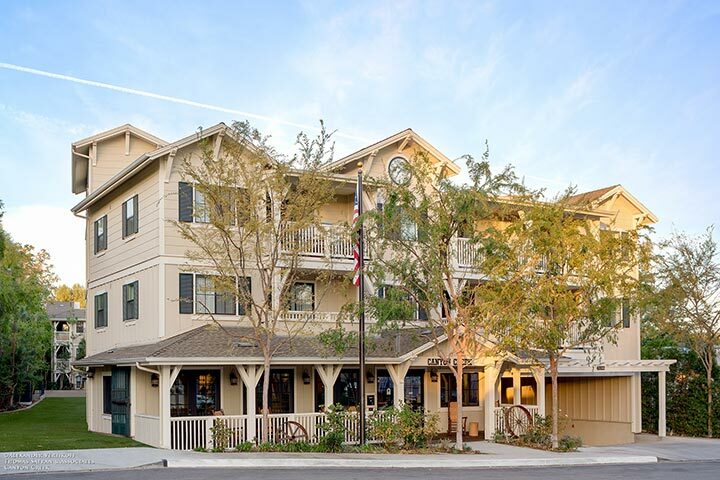 Canyon Creek is a 75-unit, tax-credit property located in Calabasas, CA for people 62 and over. The waiting list is currently closed. Canyon Creek features a community room with a kitchen, fitness center, computer lab, television room, library, a spacious courtyard with a spa and two barbecue areas. The community features on-site management and maintenance staff. All units are one bedroom and include a kitchen with range and oven, refrigerator, waste disposal, wall-to-wall carpeting and vinyl flooring, window blinds, and a patio. Regularly scheduled activities include billiards games, health seminars, nutrition classes, game days, movie nights, and exercise classes. The property is conveniently located within walking distance to shopping and restaurants in historic old town Calabasas as well as the Calabasas Farmer’s Market.